Guideline booklets and applications for the Greene County Initiative Program for 2019 are now available. Deadline for submission of applications is March 15, 2019. The purpose of the County Initiative Program (CIP) is to provide general operating or programmatic support from the Greene County Legislature to major Greene County arts and cultural institutions that offer quality professional services and programs of benefit to the residents of Greene County. 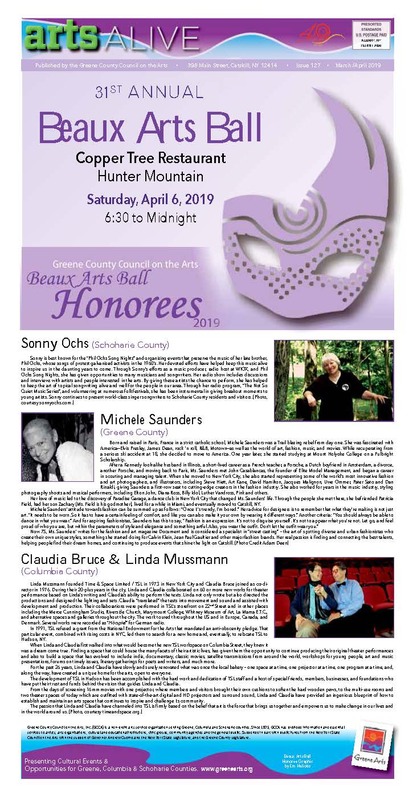 The Greene County Council on the Arts (GCCA) has administered this fund since its establishment in 1983. CIP funding is intended to promote the development, growth and viability of major Greene County organizations. With invaluable support from the Greene County Legislature, these goals continue to be met, producing a positive impact on the state of the arts and quality of life in Greene County. 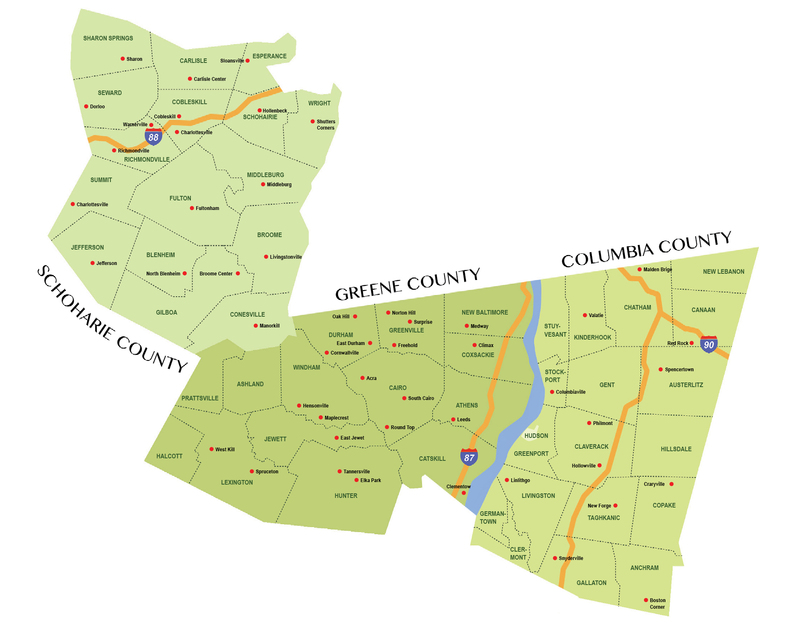 Greene County organizations receiving funds from state and federal agencies, including the New York State Council on the Arts, should apply to this fund. Organizations applying through our Decentralization Community Arts Grants may not apply to this program. Organizations must be a legally established not-for-profit whose assets do not benefit private individuals and have an active Board of Directors. Organizations must have been resident in Greene County for at least two years. Organizations must provide regularly scheduled or full season cultural programs and/or services in Greene County. The annual operating budget is generally in excess of $20,000, including in-kind contributed services and goods. Previously funded organizations include: 23Art Initiative, Bridge Street Theatre, Bronck Museum, Catskill Mountain Foundation, Music & Art Centre of Greene County; Planet Arts, Prattsville Arts Center, Thomas Cole National Historic Site, Wave Farm and Zadock Pratt Museum. Returning applicants will receive CIP Guidelines/Applications via email from the GCCA. Organizations interested in applying for 2019 CIP funding and returning applicants who have not received their Guidelines/Applications by the beginning of March should contact GCCA Executive Director, Marline A. Martin, at the Greene County Council on the Arts, 398 Main Street, P.O. Box 463, Catskill, NY 12414; (518) 943-3400; gcca@greenearts.org. Completed applications must be submitted for consideration no later than March 15, 2019 (hand delivered, emailed, or postmark date). Final Reports from previously funded organizations are due 60 days upon completion of their programming or no later than January 15, 2020. Funds from a 2018 CIP grant administered by the Greene County Council on the Arts, helped Catskill Mountain Foundation present its Annual Nutcracker Production under the direction of Victoria Rinaldi, with a cast of young dancers pictured below.